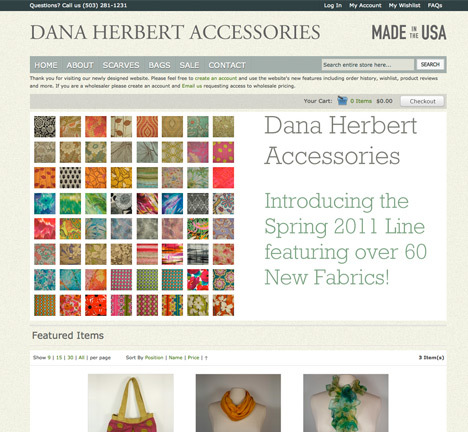 While having a successful wholesale operation with vendors such as Whole Foods Dana Herbert Accessories hired us to create a Wholesale & Retail Website. Using Magento CMS we setup two online stores using the same database and administration site to make it as easy as possible. 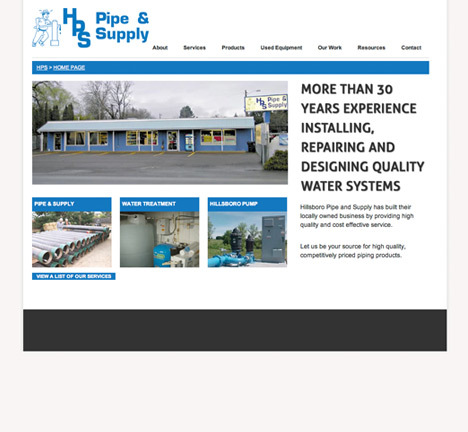 With Hillsboro Pipe and Supply we have been there to transform them from a one page website to a fully dynamic website that their staff is able to update. Using the open source Wordpress CMS we create a custom designed site. Some additional development since the initial launch include a used equipment classified system developed by us completely. 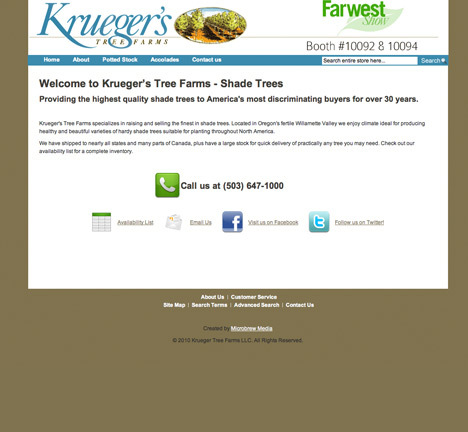 Krueger's Tree Farms hired us to save them money. They were paying over $300 per month for hosting charges to a company that was specific to the nursery business. We created Krueger's a simple design for the Magento E-Commerce platform. They didn't want to use the store function, but rather the catalog function of the platform. If they ever decide to become a retail site they just have to hit one button. 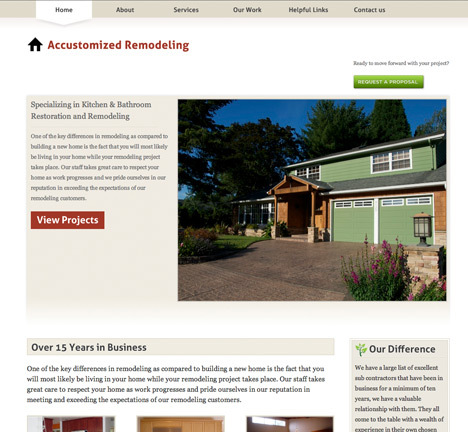 Accustomized Remodeling was looking to refresh their website from they Yahoo Site Builder template to something more elegant. We design and developed a site that showcases the craftsmanship they offer. 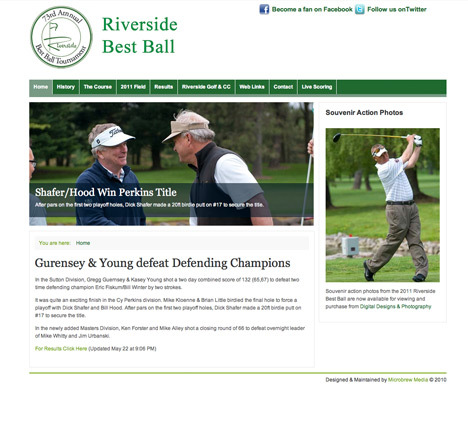 The Riverside Best Ball chairman hired us to create a website to showcase the Oldest Best Ball Golf Tournament in Oregon in 2010. They were looking for a communication portal for the players and spectators. Using the Joomla CMS we created an online scoring system that integrated into Google Documents. Score could be posted by people via Mobile Devices or Web Browser. 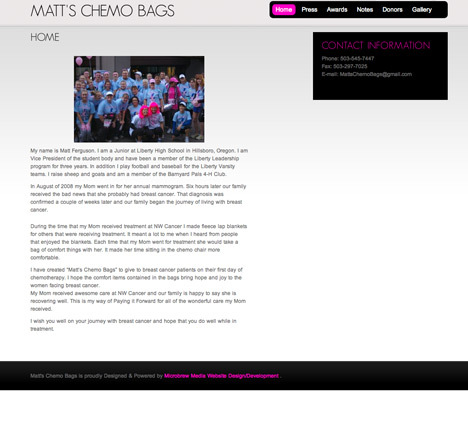 The non-profit organization Matt's Chemo Bags hired us to create a website where they could provide information on their services, press releases, awards, share donor information and contact information. 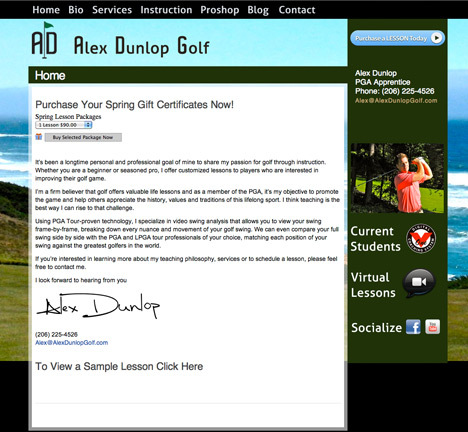 Seattle Born PGA Golf Professional Alex Dunlop hired us to create a website for him with features such as Online Lessons, V1 Pro Student Video Viewing, Blog and Purchase a Lesson. We created a site with the Wordpress CMS along with Skype Integration, Facebook, YouTube and PayPal Payments. 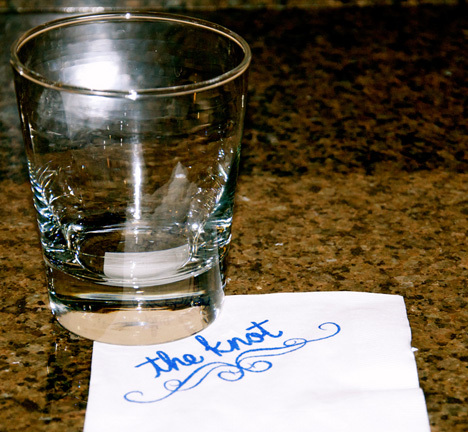 TheKnot.com asked us to create a 1920's inspired napkin design as well as print the design for an event in New York, New York. After creating the design we printed the napkins with the design using non-smearing ink, because the last thing you want at an event is to have ink running wild. 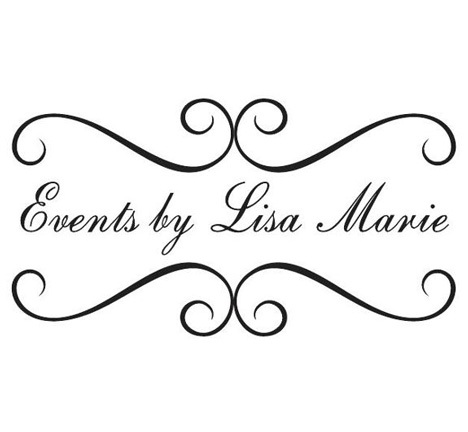 Lisa Marie was looking to take her business to a new level. She knew that her old logo wasn't going to cut it. We designed a clean, fun and classic looking logo for her. 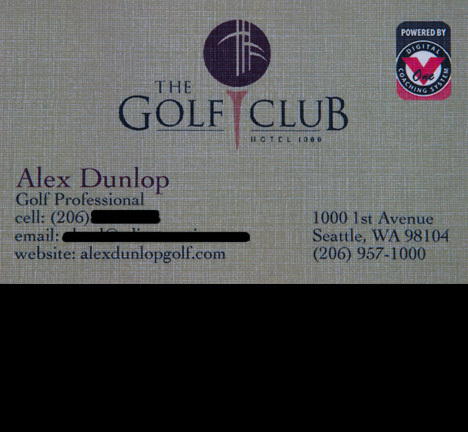 The Golf Professional at Hotel 1000 in Seattle was looking for a classic looking business card that was aligned with the Hotel 1000 brand. Using a textured paper and a mocha background along with Hotel 1000's logo and colors we achieve this look for the client. 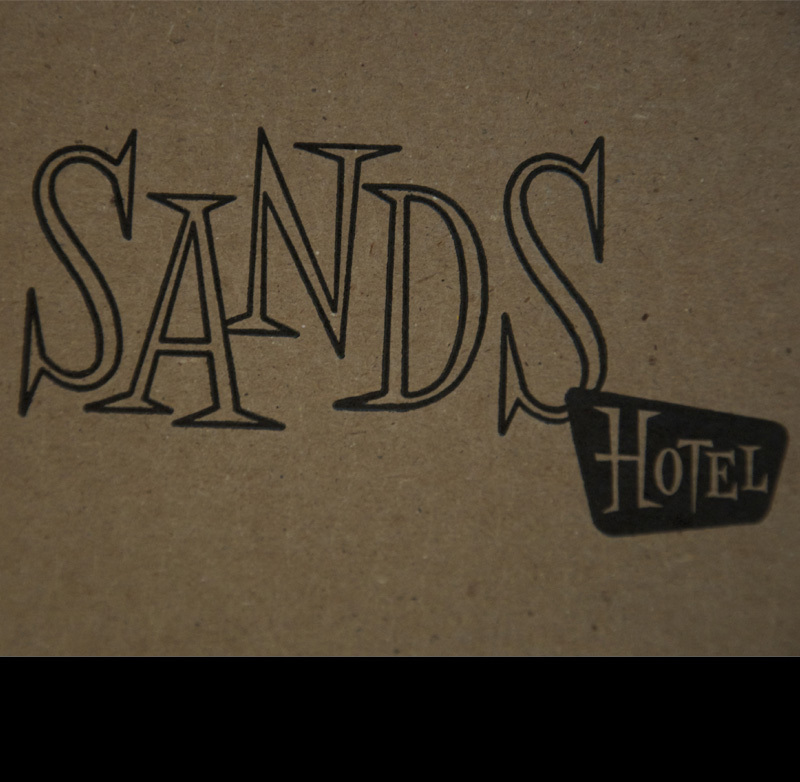 We won The Sands Hotel logo printers block on an online auction site. We are huge Frank Sinatra fans so it only seemed fitting to purchase it and print a few runs on a recycled paper. The first part of the Alex Dunlop Golf project was to design a logo for him. Alex wanted to use his initials "AD" in the log and to keep it simple. We kept is simple but added a golf aspect of a flagstick with a hole below. Alex was very happy with it as were we.